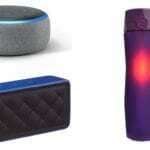 Valentines Day is celebrated in most counties across the globe. It is a day to celebrate love and friendship, and a day to remind your loved ones how much they mean to you and how grateful you are that they are in your life. 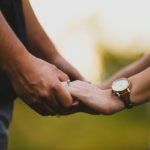 Many choose to use this day to gift their beloved with such things as chocolates, champagne and flowers or even take their better half on a romantic holiday. Valentine’s Day bouquets are one of the most popular Valentine’s gifts ideas. 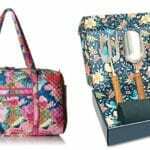 Flowers symbolize love, marriage, romance and fertility, so no wonder they are the go-to Valentine’s Day gift for that someone special in your life. 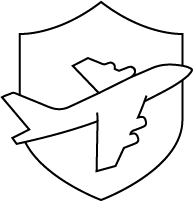 However, have you ever thought about sending artificial Valentine’s Day bouquets to your loved ones this Valentine’s Day? 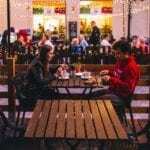 Why Send Artificial Valentine’s Day Bouquets? Flowers bring happiness, and they make people smile. 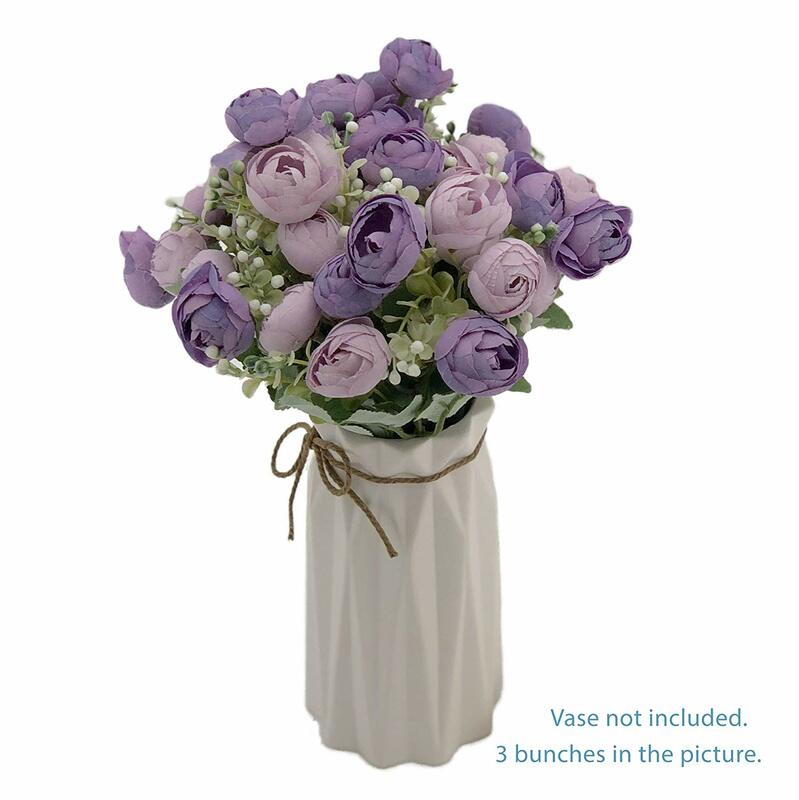 Sending a bouquet of flowers brings joy to the receiver, and flowers enhance and add color to space or home. 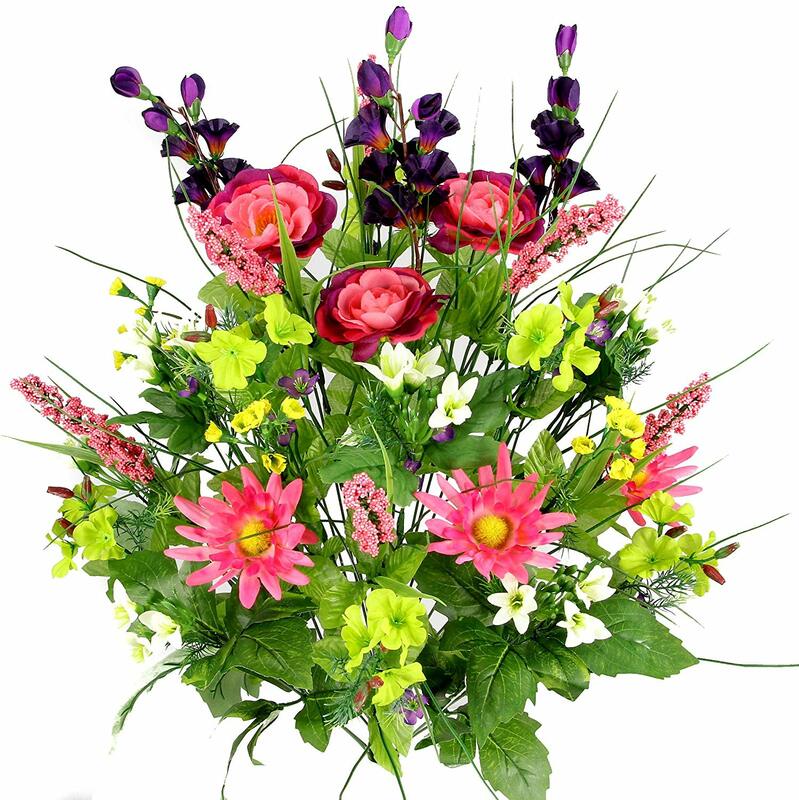 Artificial flowers are as beautiful and vibrant as the real thing, and artificial flowers last longer. While real flowers are a delight to receive, eventually they will wither and die. 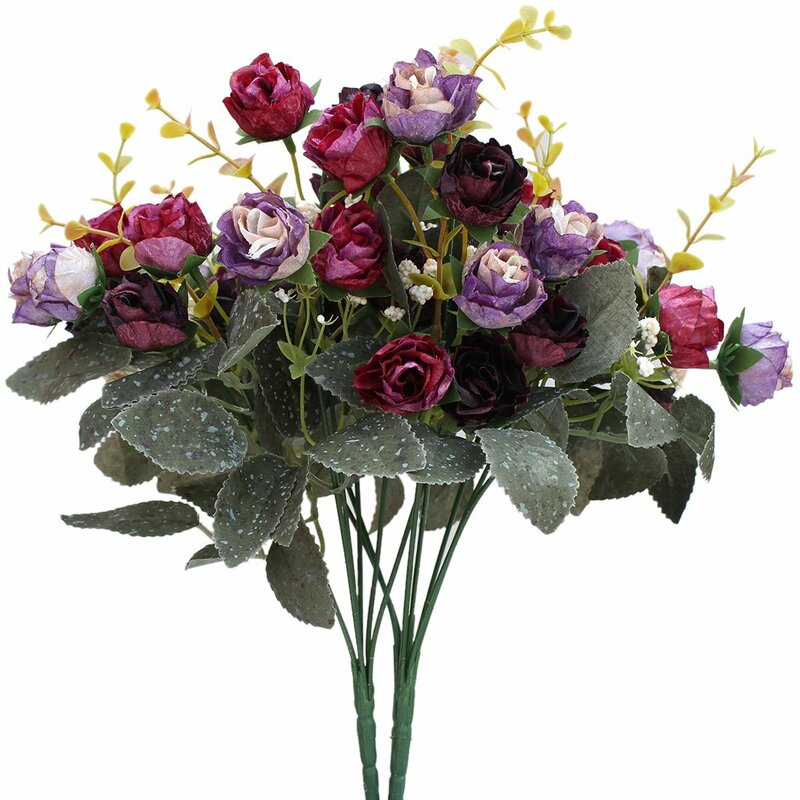 An artificial flower bouquet is everlasting and will bring beauty that will last beyond Valentines Day. If you are clueless when it comes to flower bouquets, it’s ok. We’ve put together 14 of the best long-lasting artificial Valentines Day bouquets to give to your beloved this Valentine’s Day. 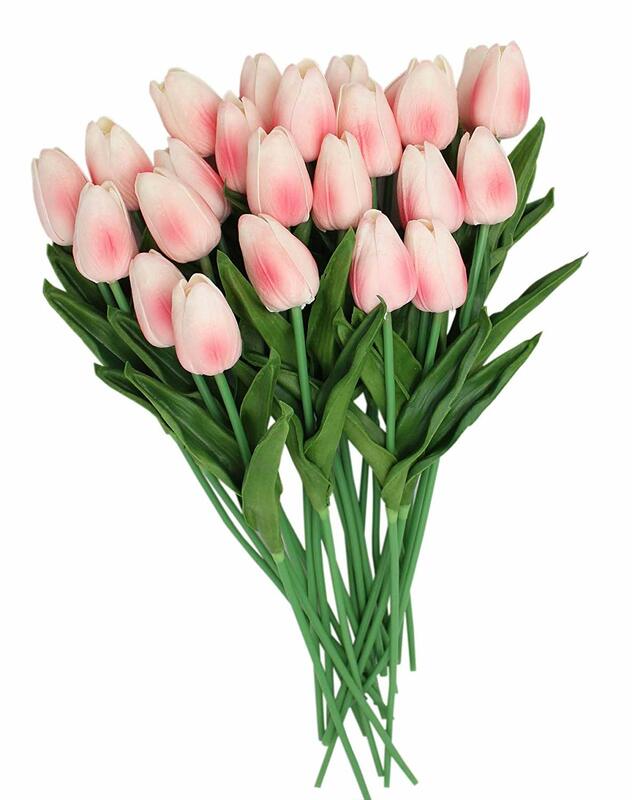 A bouquet of tulips not only make a wonderful Valentine’s Day gift for a partner but are an ideal bouquet to send a friend. For a friend, it is recommended to get the tulips in yellow as this color symbolizes friendship. This wildflower bouquet is an ideal Valentine’s Day gift candidate for that special someone that’s not a fan of the traditional red roses. 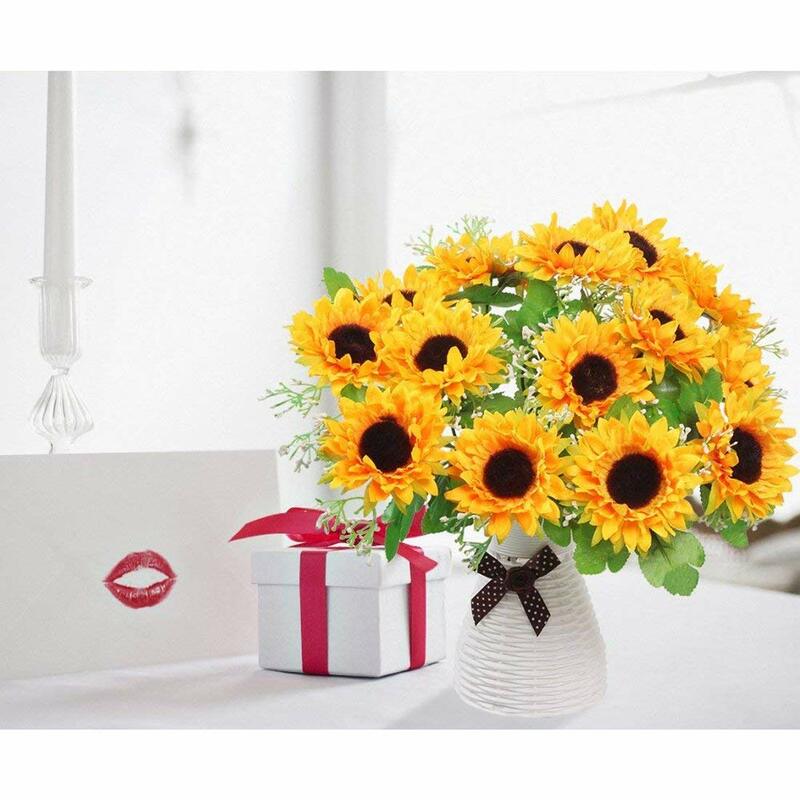 Sunflowers are bright and beautiful and are a great flower bouquet to give your beloved. The bold yellow tones of the sunflower petals are uplifting and cheerful, they are sure to bring some sunshine to anyone’s day. 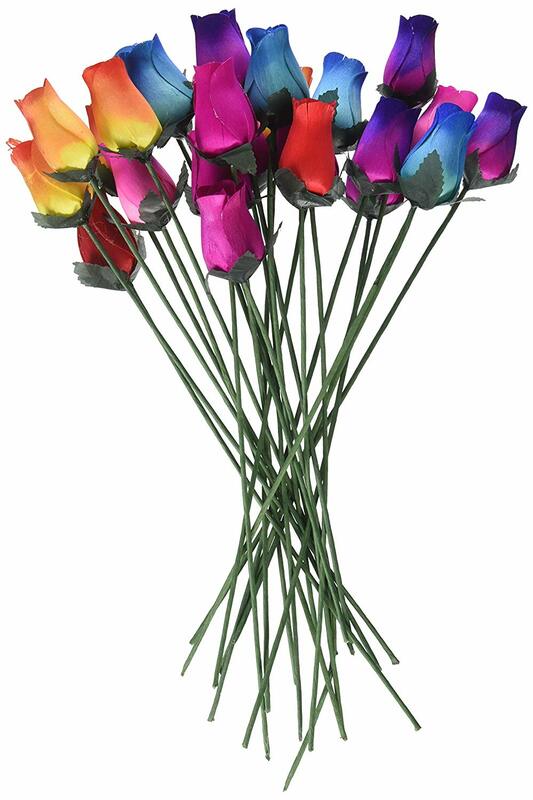 This vibrant and colorful wooden bouquet of roses is an excellent choice for that special someone who loves a pop of color. A truly captivating and pretty floral arrangement that has been made with the romantic sole in mind. Gift a stunning bouquet of poppies to your true love this Valentines Day. 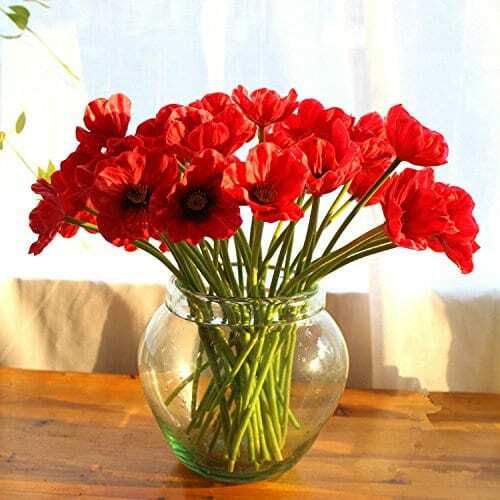 Poppies are bright red in color, passionate and a fantastic floral representation of love. 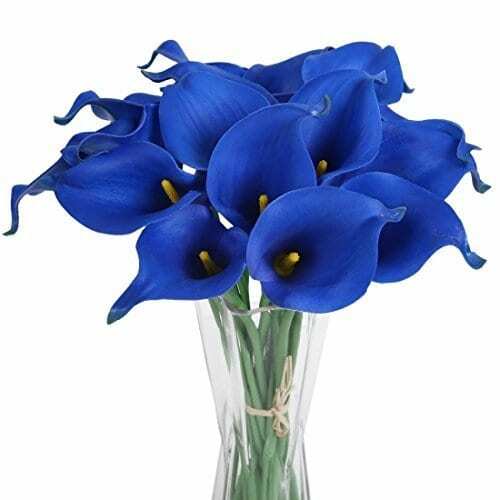 This Calla lily bouquet has an air of royalty about them. Make your loved one feel special and regal by gifting them this darling 20 piece bouquet for Valentine’s Day. 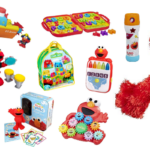 Roses are red, violets are blue, this is the perfect Valentine’s Day gift idea for you. 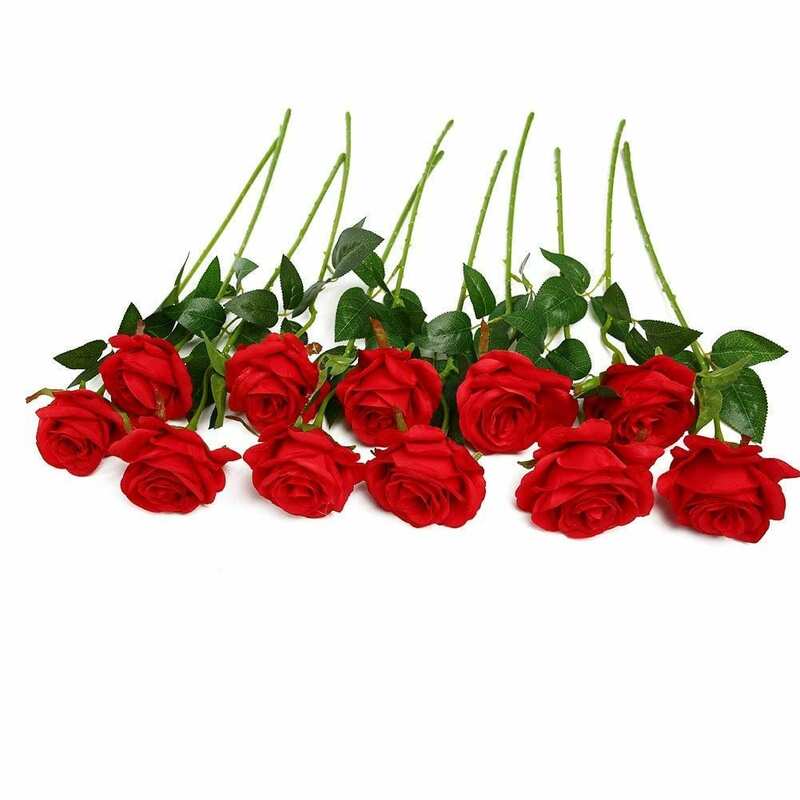 The traditional bouquet of red roses is most associated with Valentines Day. If you are unsure what to get your better half this Valentine’s Day, opt for a bouquet of red roses. You can’t go wrong! 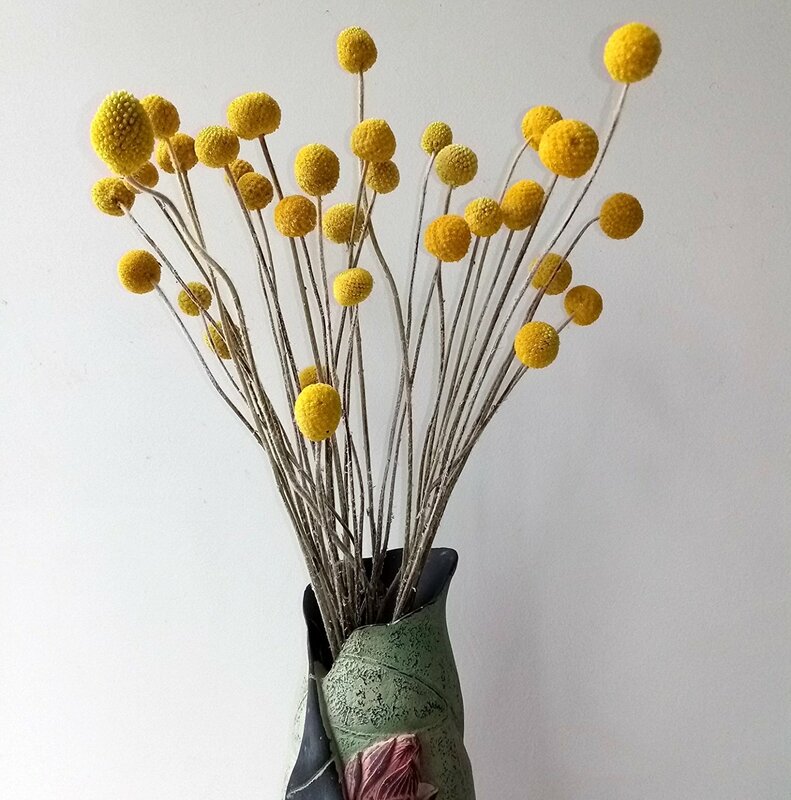 A floral bouquet of dried natural Craspedia flowers or billy button balls as they are also known as a quirky and fun alternative to the traditional Valentine’s Flower Bouquet. 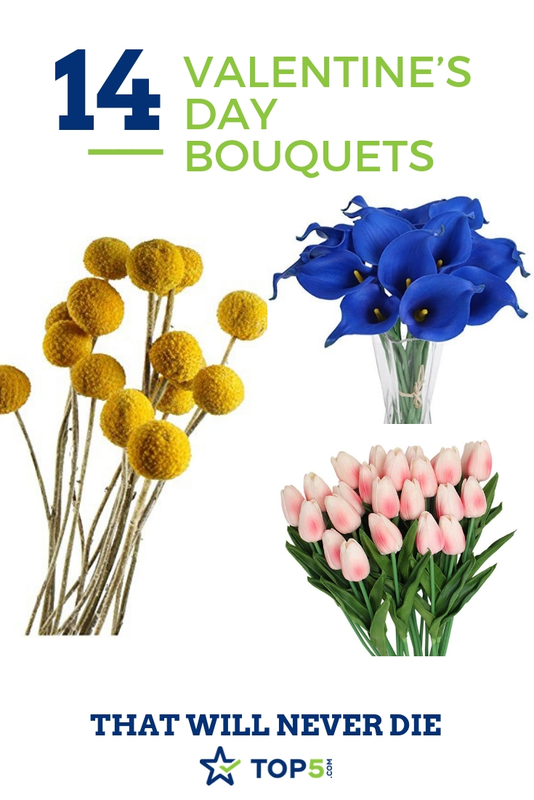 Mix and match these gorgeous silk flower bouquets to create a unique Valentine’s gift that will be admired for years to come. 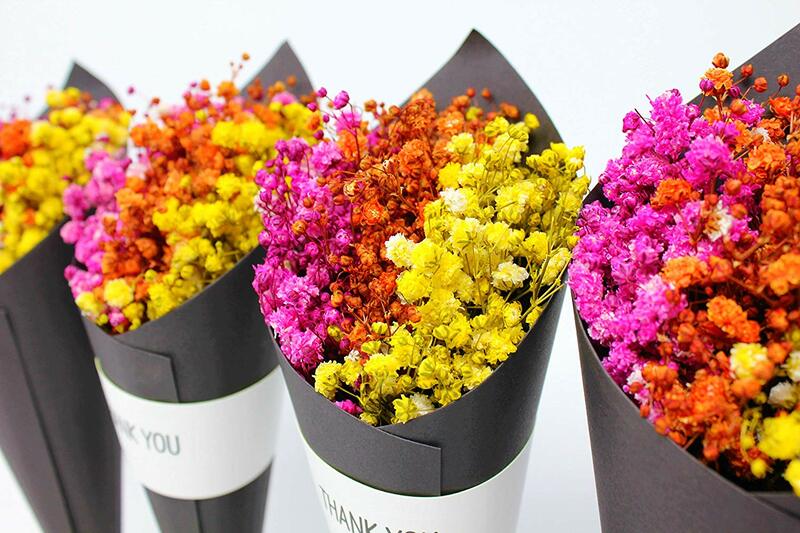 Gift your colorful significant other these bright, colorful and fun mini dried flower arrangements and you’ll certainly make an impact. 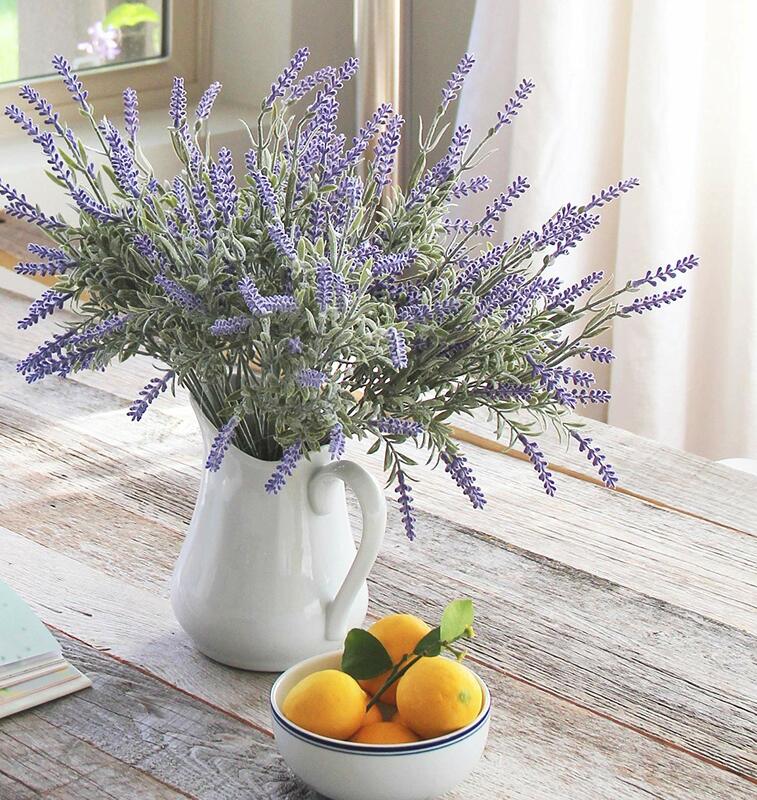 These charming artificial purple lavender buds look real and make a great alternative to dried flowers. 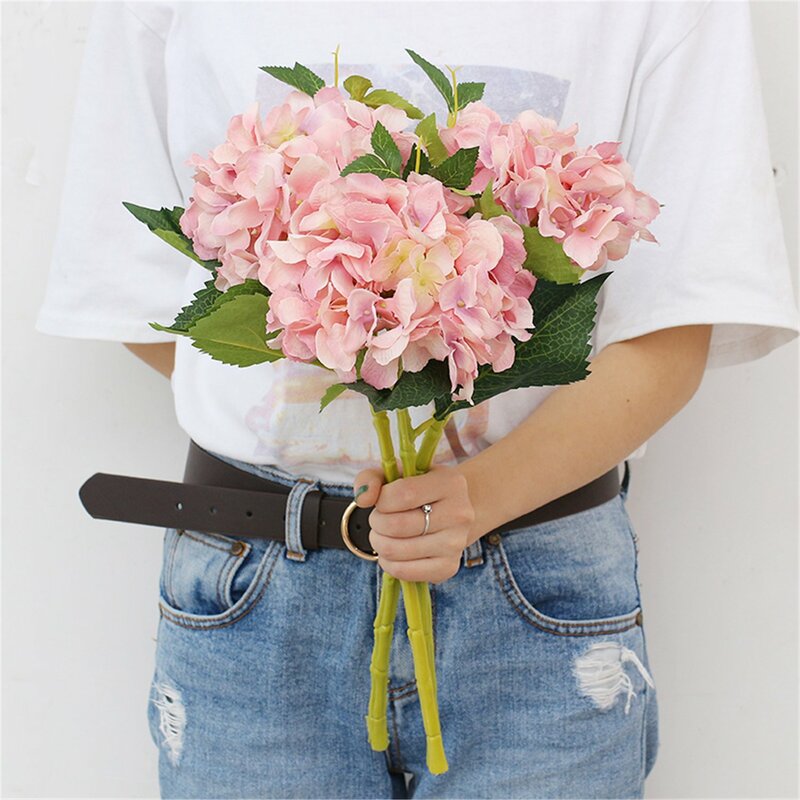 These beautiful silk Hydrangea flower bouquets are super pretty and will make an ideal Valentine’s gift. Pair this pretty flower bouquet with a box of chocolates and a handwritten card to make your betrothed feel extra special. 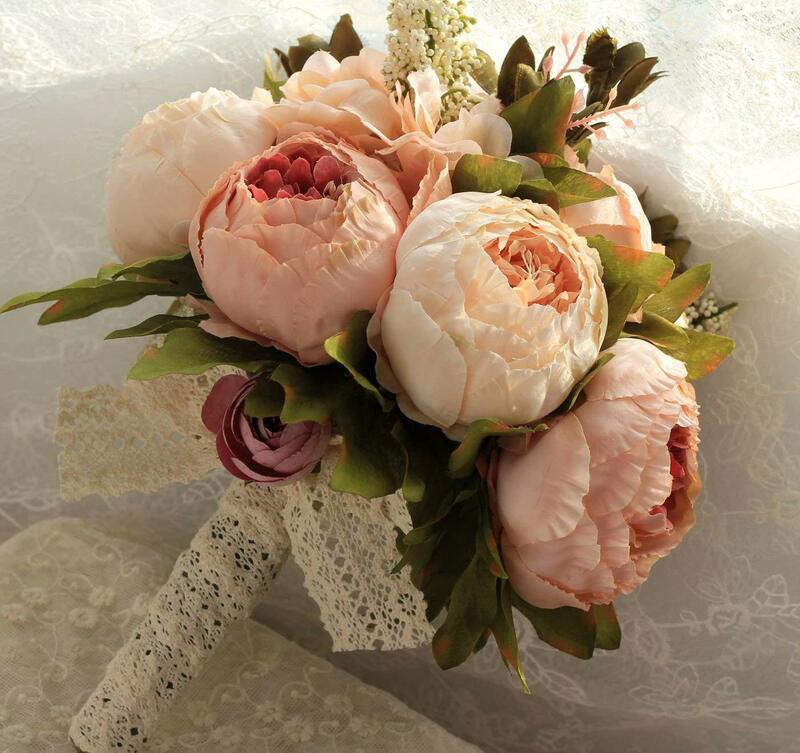 This bouquet of artificial Camellia flowers will be a splendid addition to a vintage lover’s collection. 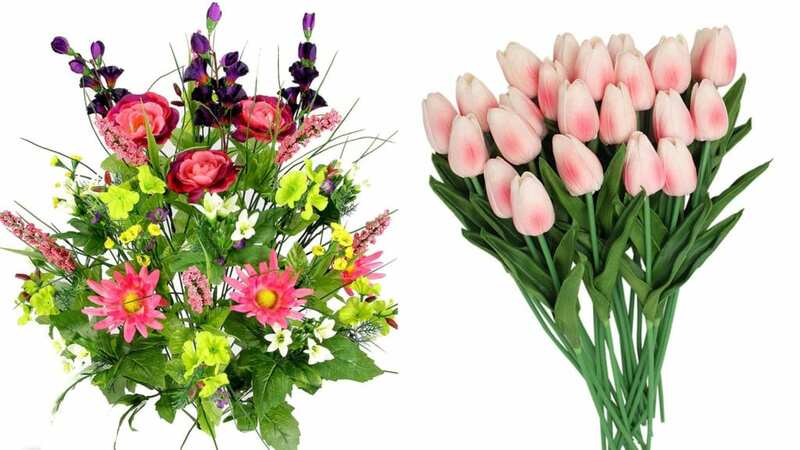 Which one of these beautiful Valentine’s Day bouquets would you like to receive? Let us know in the comments below or share with us your thoughts on social media. Just tag @topfivecom and #topfivevalentinesbouquets.